Hello all, I don't know why the sun is so angry with us that it is shining so furiously over our head. Dear sun, please have some mercy and free us from your anger. We can't take it anymore and in case if you are not ready to surrender I am ready to face you with BioBloom Day Protection lotion with sunscreen, Liquor ice and carrot seed. Read on to know how. Packaging: The product comes in a transparent rectangular plastic bottle with a twist open pump which is especially hygienic. It has a golden neck and yellow labels on it. Product: The product is an off-white watery liquid. It’s very light but not runny. It has a strong fragrance of liquorice which maybe a problem to sensitive nose. 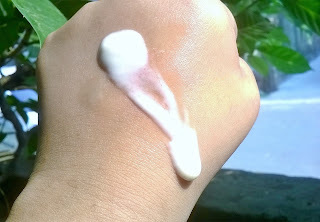 My experience: No matter what is the season, sunscreen is a must have for one and for all. It keeps the harmful ultraviolet rays away. But, at the same time choosing the right sunscreen can be very confusing as we are unfamiliar with the pros and cons of a particular sunscreen. 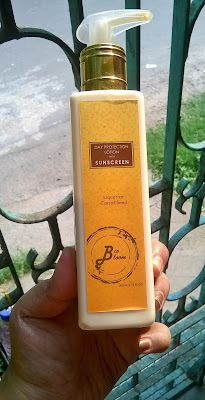 Same was the case me, I used sunscreen only from one or two particular brands until BioBloom sent me this and I decided to give this a try. I am using this for 32 weeks I guess and am ready with a full fledged detailed review. This particular sunscreen is easy to work with but there’s no mention of SPF on it. The light watery texture blends easily and doesn’t feel like I have applied anything on my face. When in a hurry, I take out one pump of this on my hand and massage it in circular motions all over the face and I’m good to go. It stays on for long and doesn’t melt, even when I’m wearing makeup. It is free from parabens, formaldehyde, sulphates & petrochemicals which is definitely a big thumbs up. It can be used both on the face as well as on the body. The only problem I have with this particular lotion is the smell as I already mentioned which is a bit too strong for me but it disappears with time so I’m fine with it. It also makes the skin softer, smoother and healthier besides providing it with the right amount of hydration. I think it is suitable for all skin types because I have the driest skin in the world during winters and it worked fairly good enough and during summers my skin becomes an ‘oil-factory’ and it works equally good. I guess it also prevented me from getting tanned-am not so sure about it as I don’t take the risk of going out every day in this scorching heat. 2. Pump dispenser which makes it hygienic. 3. 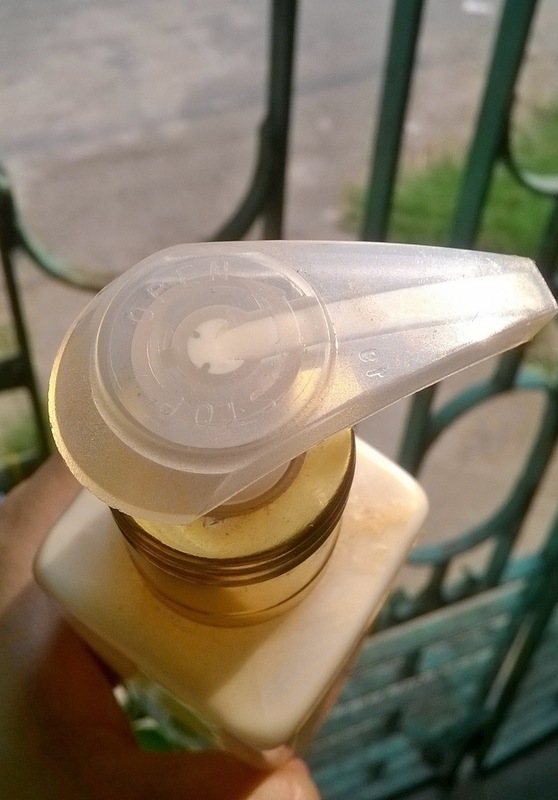 Twist-open lock prevents the product from getting collected in the mouth. 5. Suitable for all skin-types. 15. Provides a natural glow. 1. May not be affordable. 2. Strong scent of liquorice can be a problem to sensitive nose. 3. No mention of SPF. Overall, I think it’s a great product and worth a try. I recommend it to each and everyone of you guys reading this. I’m definitely going to repurchase this and thank you BioBloom for introducing this product to me and changing my life. Lots of Love.